Griffin technology has got amazing step by introducing a smart talk solar which is completely handfree, so there will be no burden on users for handling their phone, while they are driving. So it is in the favor of our road users that they will freely drive without handling their phones in hands. As before this, they were fined by road officers for using their phones while driving. Griffin technology equips this smart phone with solar energy panel which requires solar rays that is already provided it to by sun, while we park our cars in scorching sun, the solar panel, when it is charged, it will provide us feeless talking till night . Now the users don’t need to worry about coming vehicles while they are driving which could cause accidents and loss of precious lives. So through this eco invention griffin serves humanity service by saving users lives and the state precious property being demolished by users while they talked on their common smart phones. It has been observed by (mark Rowan) that it is more difficult to focus on driving while you talk on your smart phone, so griffin tends to safe driving habit by introducing this eco gadget. So by this griffin aims to reduce traffic dangers by freeing road users from apprehensions of accidents. In phoneMotion-sensing Auto feature will automatically connect to paired smart phone, while you enter in your car. Multipoint feature of phone will allow connection of two same phones. 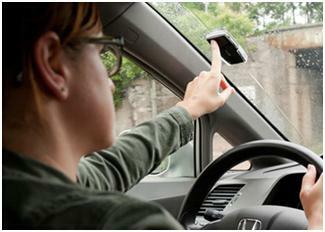 For this we have to stick our phone with wind shield, which has solar panel, which will provide us extra talk time. By single button we can answer and make call, which is sported by voice command features. 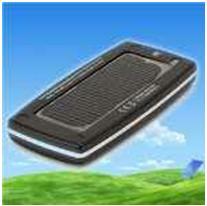 Above all it is solar charged speaker phone. That entertains you by freeing you from phone charging problems as it will work for long time than that of others. We’ll be able to have access to the company’s Drive Safe app, which offers information about local driving laws to ensure you don’t get pulled over by state road officers. So comparatively it is comfortable renewable gadget and new step towards eco family. This amazing phone will be available at just 69.99 dollars. This is comparatively affordable by every user, and slim and good-looking.so it is perfect for those riders who don’t bother while parking their cars in scorching sunrays. So this phone draws users’ attention to store up energy, so that they could use it till night.